Paul George has joined exclusive company. In Nike’s 44-year history, fewer than 1% of their endorsed athletes get their own signature shoe. The PG1 sneakers debuted earlier this year but were not available for purchase until March 3rd. Since the shoes released close to two weeks ago, they have received glowing reviews from his NBA peers. Players and fans have not been disappointed with the PG1’s. Aside from aesthetics, have the shoes impacted George’s play on the court? 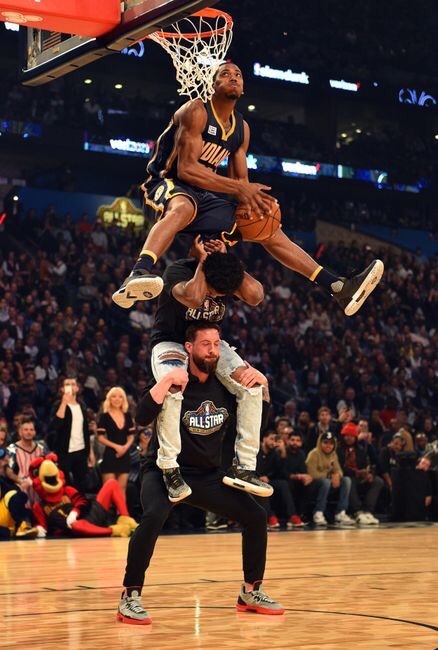 To the delight of Pacers fans, there is an uptick in the production of PG-13 since the sneakers were released on March 3rd. In the 7-game stretch since the PG1’s were released, George’s numbers have a noticeable improvement. The team however has alternated wins and losses, going 4-3 over the period. Maybe everyone needs to rock the pair that PG gave each teammate. It certainly is helping former Pacers player Solomon Hill in New Orleans as he put up a career high 30 points wearing the shoes. George Hill, Willie Cauley-Stein, and Jrue Holiday are other NBA players that have been wearing the PG1. March Madness has seen a couple of college players lacing them up as well. They were not good luck for the Villanova player, however, as they fell to Wisconsin and broke brackets everywhere. The Pacers bounced back from perhaps their worst loss of the season last night at Madison Square Garden with an impressive 98-77 win over the Charlotte Hornets, behind a superhuman performance from Paul George, who had 39 points while making a ridiculous 15 of 21 shots. The Charlotte Horn-Bob-nets-cats have been difficult for the Pacers to contain, largely due to Kemba Walker and Nic Batum. Tonight, Batum was out due to a migraine that is reportedly so bad he is getting a brain scan (good wishes to him), and the Pacers took advantage—sort of. George and Turner were active in the first half, scoring 12 and 6 respectively, but most notably, Monta Ellis helped the Pacers hold a tenuous early lead, shooting 4-7 and registering an assist, a rebound, a steal, a block, zero turnovers and one foul. At the half, though, all things were equal with neither team able to establish any (cough) consistency. The Pacers wouldn’t repeat their 29-point performance from last night against the Knicks in the second half. George nearly matched that total with 27 points by himself in the final two quarters as hit nearly everything he tossed toward the basket. “I think we showed what we can do when everyone is locked in and on the same page,” said McMillan. Teague was on time and on target with his passing especially finding George coming off of screens. He flirted with a triple double with 8 points, 11 assists, and 8 assists. Noted Pacers-killer Kemba Walker was held to a season-low 7 points as the Pacers defended him better than they have in the last two seasons. “We did a good job of getting up on our screens in the pick and roll,” said McMillan. McMillan said the team overall did a great job in the second half of keeping the Hornets out of the paint. Both George and McMillan mentioned that the team had a talk after the game last night but did not share the details. Whatever was said, it was effective–at least for tonight. In the Year of Our Inconsistency, no revelations seem to last long. We’ll see if this one will stick. Several Pacers mentioned a team conversation after last night's loss. Jeff Teague acknowledged he needs to be more vocal on the court. When the Pacers lace up in Bankers Life, their energy and play level is simply different. If that energy when the ball tips could be bottled and chugged before every road game, this team could be a top seed in the Eastern Conference. Stan Van Gundy, his gold chain surely glistening with rage sweat, made a quick lineup change to counter the Pacers early lead, bringing Tobias Harris off the bench, to keep the Pistons close. It helped, but the Pacers looked great against a Pistons team that has found some rhythm since the All-Star Break and, I thought, would prove more of a challenge. 10 different Pacers players scored in the first half. In the third, the Pacers struggled to keep Andre Drummond off the glass and the Pistons bricked-to-offensive-rebounded their way to a small lead. Pacers fans listening on Fox Sports, though, were blessed with two Quinn Buckner chuckles along the way to help ease the sting of losing a lead: one caused by a bad Jon Leur pass and the other by a backboard only free throw by Drummond. PG "good to get passed trade deadline, this is a great town for basketball, I grew up in this organization & want to bring a champ." After an eventful (on Twitter anyway) trade deadline, the Pacers returned home after the All Star break with an un-changed team to play the Memphis Grizzlies and won by a final score of 102-92 as they ended their six-game losing streak. Pacers fans showered superstar Paul George with cheers during his introduction, showing how glad they to see him still in a Pacers uniform. George heard the extra cheers during introductions and appreciated hearing it from the fans. George still was in a bit of a shooting slump as he made only 3 of 12 shots for nine points and added nine rebounds, but tonight it didn’t matter. Thaddeus Young made his return to the lineup as well after missing eight games with a wrist injury, and man were the Pacers glad to see him back. His energy and hustle were a big difference maker that the team had missed during the losing streak. He finished the game with 10 points on 5-7 shooting with five rebounds, a block and a steal. "It felt like we were whole." – McMillan on Thad's return. "He does a little bit of everything." The game was close early but the Pacers took control in the second quarter and snapped their 6-game losing streak against the #6 seed in the West. 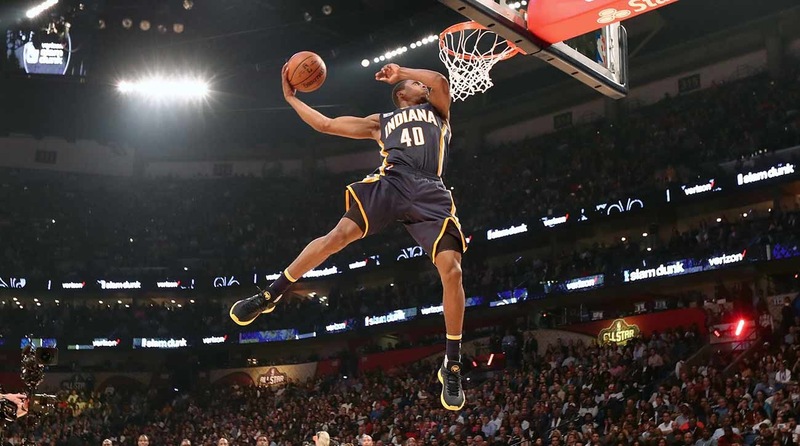 After the game was tied at 29 – 29, the Pacers pulled ahead and led by 27 points at one point and never trailed again. They won the second and third quarters by a combined score of 64-42. The biggest surprise/revelation of the game: the bench and defense. The Pacers bench scored 44 points tonight, led by Monta Ellis with 16 points and Lavoy Allen with a double double of 10 points and 10 rebounds. The Pacers defense held the Grizzlies to 41.7% from the floor while shooting 51.3% themselves. The stellar bench play started with Rakeem Christmas, who had only played 23 minutes his entire season. Christmas came off the bench due to Al Jefferson being a late scratch due to ‘dental pain.’ Christmas played well in his 13 minutes, rolling to the basket (something the Pacers bigs are lacking) and attacking for rebounds. Even though Rakeem only had four points and five rebounds, he was very active with his time of the floor. He’s still got to control his fouling issues, but he was a big boost to the second unit. On a night when the top scorer was CJ Miles with 17 points, the bench play was a great boost. Maybe the Pacers didn’t need to trade anyone and just needed a kick in the pants (aka trade rumors) to get things rolling. On the other side of the ball, the Grizzlies never established a game plan. Their leading scorer was Troy Daniels with 13 points. Outside of the occasional flash of Mike Conley, Marc Gasol, or Vince Carter, they didn’t seem to have the firepower tonight to overcome the Pacers. Picking two winners on 2/26/17 for any T-shirt in my store. Jeff Teague added a double double of 10 points and 10 assists. Myles Turner added 12 points, six rebounds, three steals and two blocks. 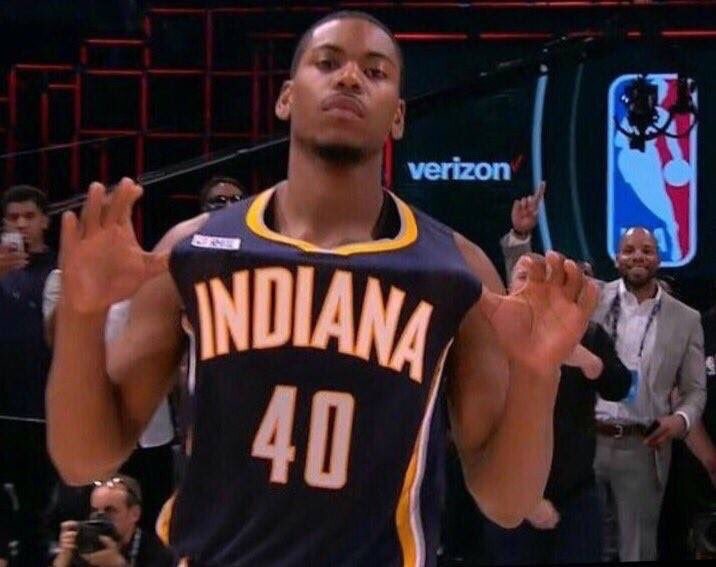 The Pacers play again tomorrow night against the Miami Heat who are sitting in 10th in the East right now. This will be game one of a 5-game road trip for the Pacers. Miami is 8-2 in their last 10 and one of the hottest teams in the league. Hopefully the Pacers came come out and play a similar game plan Saturday night in Miami. The Pacers win tonight clinches a Pacers winning home-record for the 28th straight season, which is the longest streak in the NBA. This was the fourth Hickory Night of the season. A Hickory Night that had lots of Indiana High School history on the floor. For Memphis – Mike Conley (Lawrence North HS) & Zach Randolph (Marion HS) for the Pacers – Jeff Teague (Pike HS) & Glenn Robinson III (Lake Central HS).